Visual Energy is a family based sign company in Wollongong that was founded in 2001. Our team of 10 staff have 70+ years combined product knowledge and technical experience in the signage industry. At Visual Energy we use great design and the best materials and technology to create high quality signage solutions for all our customers with a diverse range of purposes. Our laser cutter in action. Our name Visual Energy, represents our ability to create impactful brand visibility though signs as an application of elements combined with art and technology. The adjective 'visual' basically translates to anything designed to be looked at. The noun 'energy' is an inherent power to produce an effect. We understand signage, design and branding are major investments for any business or organisation - and we know signs that are designed well create the most visibility, which is essential to increase brand awareness and attract new customers. How signs are designed, constructed and maintained is where we excel, see some of our work. We are a dedicated team of designers, sign-makers and project managers who are educated in the traditional and modern processes for creating signs in-house from start to finish. 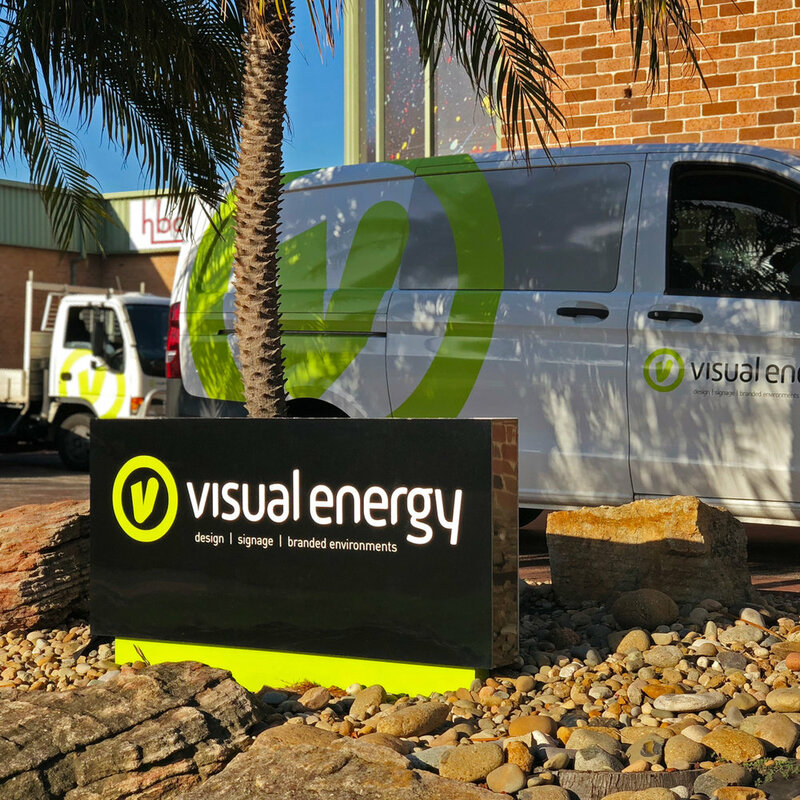 Our team has over 70+ years of combined experience and is the reason Visual Energy is a leading signage company in Wollongong. We have the ability to manage and deliver projects with customer service, attention to detail, on time, and within a budget. Our strength is our ability to think strategically with your project brief and translate your ideas into great signs that can be manufactured to your deadline. The application of profile cut letters in the graphics room. In our purpose built space in North Wollongong (approx. 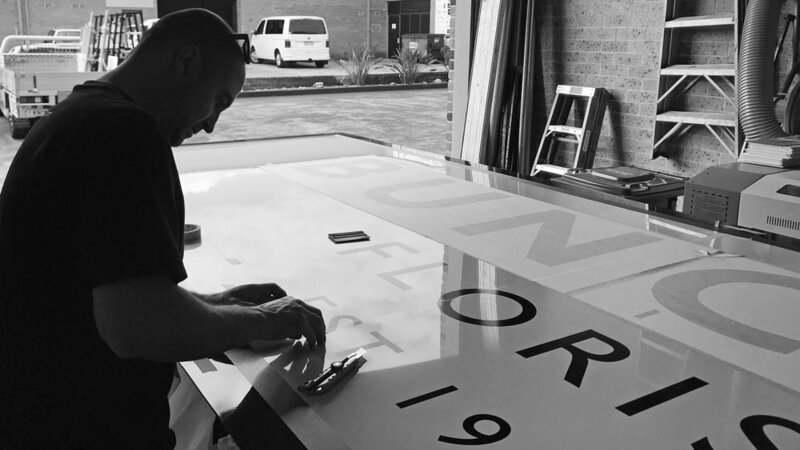 1 hour south of Sydney CBD) we are able to design, engineer and deliver all facets of signage projects from vinyl graphics and digital printing to acrylic, ACM and metal fabrications, laser cutting, CNC cutting, modular and fleet vehicle graphics. See our products and services pages to see exactly what we do. Our portfolio showcases projects from local, national and international clients delivering a wide variety of signage, all of which were constructed inhouse by our talented team. Please contact us about your next project and we can discuss signage solutions. All our quotes are free and flexible according to materials and scheduling.